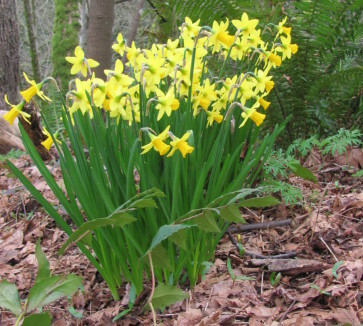 Spring flowers in Pacific Spirit Regional Park are a sure sign that spring is on the way. Up and down the West Coast, people are sick and tired of winter. You can hear it in the coffee shops and bars, you can see it in the cancelled events in your calendar. It’s been one of the hardest winters in decades, and everyone wants a break. It doesn’t matter that science blames the colder, nastier weather on a mass of cold water just offshore. We’re all longing for drier, warmer air. The good news is that spring break is just around the corner, and there’s plenty to anticipate. On the one hand, flowers are starting to bloom. They’re facing a last blast or two of cold temperatures, but they’re bravely making their appearance. On another, PlayDome opens at BC Place with more than 45 rides and attractions, plus carnival snacks and games. Conveniently located between the Stadium-Chinatown and Yaletown-Roundhouse transit stations, PlayDome runs March 22-26, 2017. A five-day pass is $49, an attractive alternative to $29 for a single-day pass. Warmer weather is creating opportunities for exploring the West Side on foot and bike. The spring equinox on March 20 typically ushers in a season when lower daytime tides make the mudflats off Spanish Banks and Locarno beaches ideal for exploring. Be sure to check the tide tables, though, so you don’t get caught in the water! Those who prefer land-based discoveries will find forest flowers blooming in Pacific Spirit Regional Park, and other parks around the region. Riverside trails in the Southlands neighbourhood south of Dunbar also provide opportunities to get close to nature. But if winter does make a return visit, there are things to do can close to home. Work with your kids to give seeds a head start, for example. It can be as simple as putting some soil in a peat cup and depositing a seed. You can create a mini-greenhouse by covering it with a clear plastic bag. There are also some simple spring recipes that can be fun to know and tasty to enjoy. Sugar cookies in the shape of a shamrock, for instance, or even shortbread freshened up with the zest of a lemon or orange. Spring break is all about a change of pace – and after the past few months, it can hardly come soon enough.